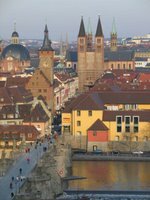 I'm back from my business trip to Germany, so hopefully my subsequent posts will be more about sewing or cooking than travelling. Overall, it was a good trip, albeit a rather long time away from home. 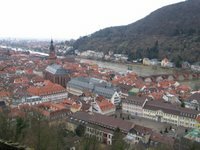 We started the trip at Wuerzburg and ended up with a day we could get out a see some of the city and surrounding area. 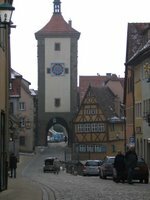 I did make it to the trim shop, however, in Germany most shops close early during the weekday. I got to the shop about 5 minutes before closing, so I wasn't able to browse and shop. I never made it back, which is probably fortunate for my checkbook. 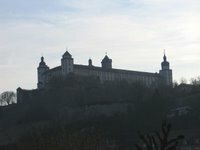 Marienburg Castle dominates the skyline at Wuerzburg sitting high up on the hill. A co-worker and I walked from our hotel to the castle and walked around the grounds. It was a cold breezy day, but pretty. The views from the castle were grand. That's the Main river that is flowing through the town. 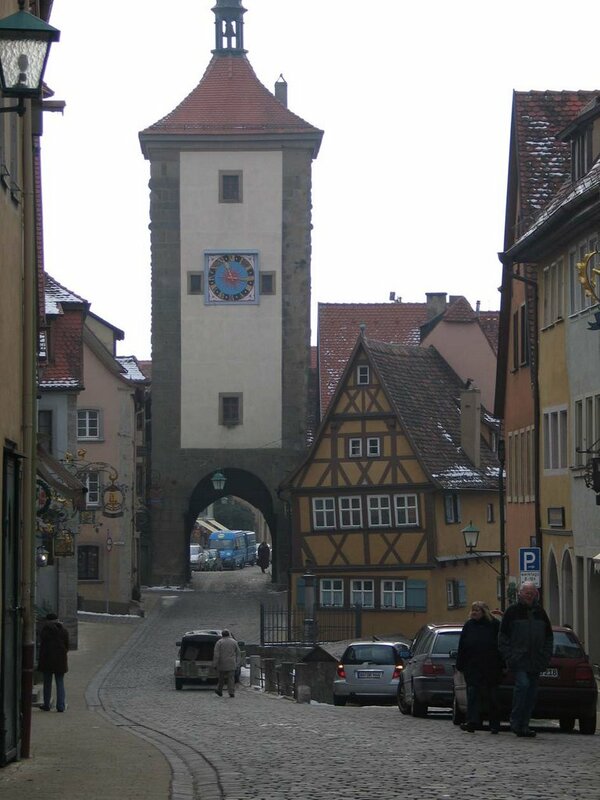 Before we left Wuerzburg some of us were able to take a quick trip down to Rothenburg ob de Tauber. 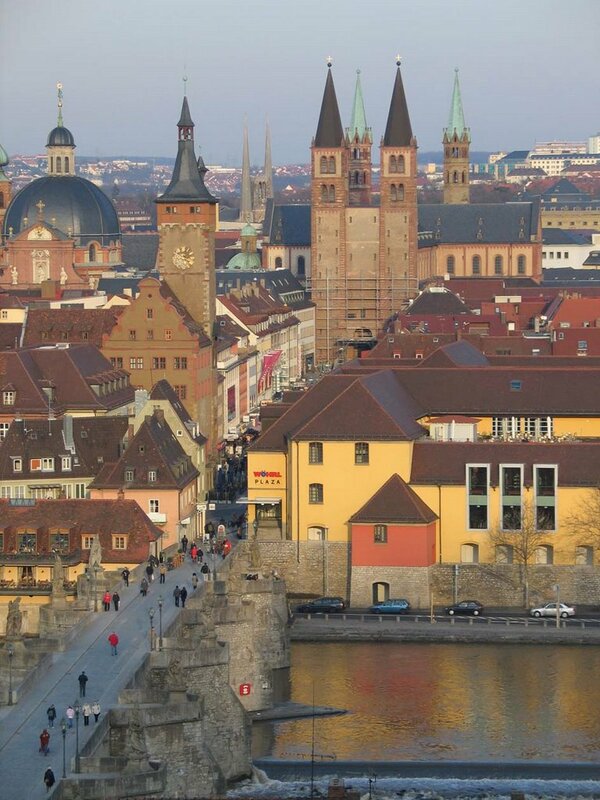 This town is the quintessential German town. 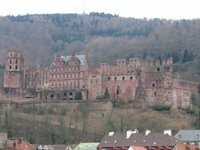 After a week at Wuerzburg we travelled to Landstuhl. We didn't get out as much at Landstuhl, but we did get to the ruins of Nanstein castle. 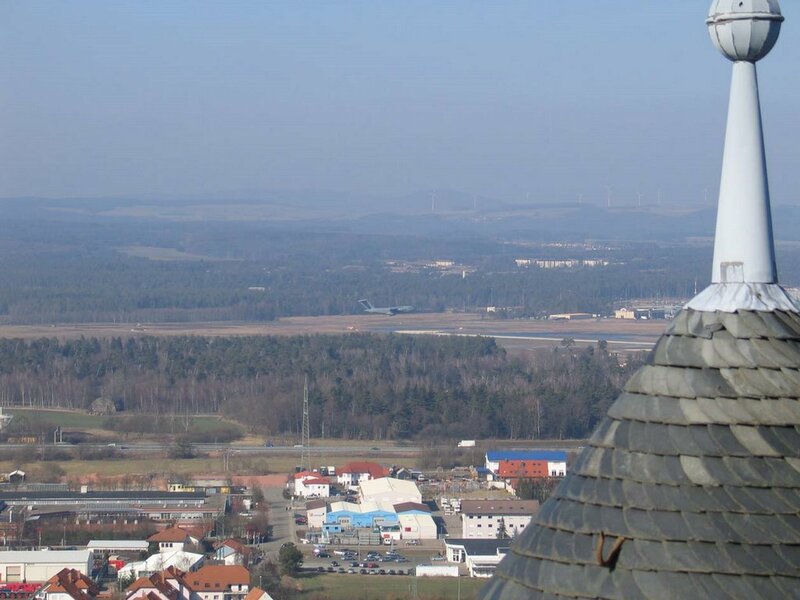 From the heights of Nanstein, you can see Ramstein Air Base fairly well. 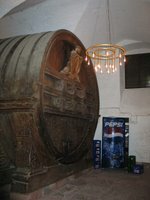 I'm sure some security official is not happy about that, but hey, what can you do? 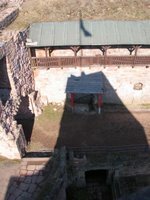 If you click on the picture of Ramstein you can see a military plane landing. After Landstuhl, we moved on to Heidelberg. 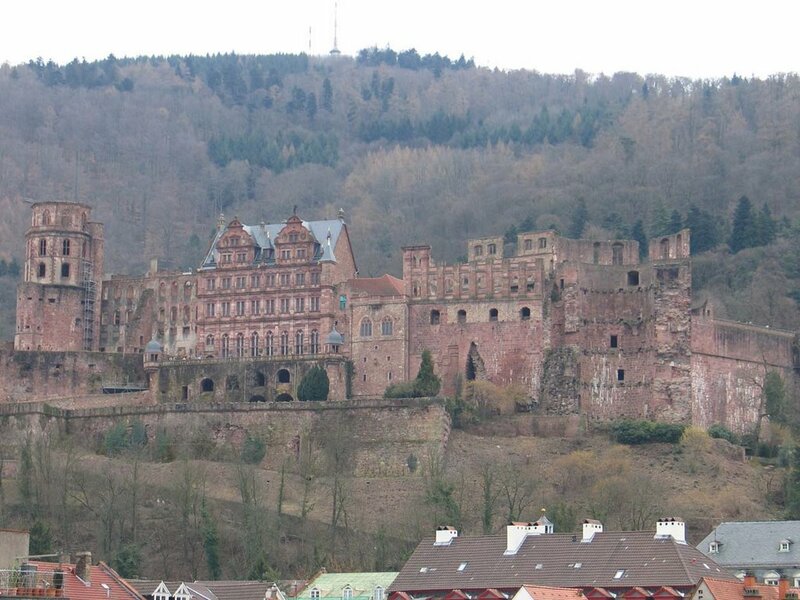 Of course, Heidelberg boasts it's own castle, which has been abandoned since 1764 when a fire destroyed it for the third time. 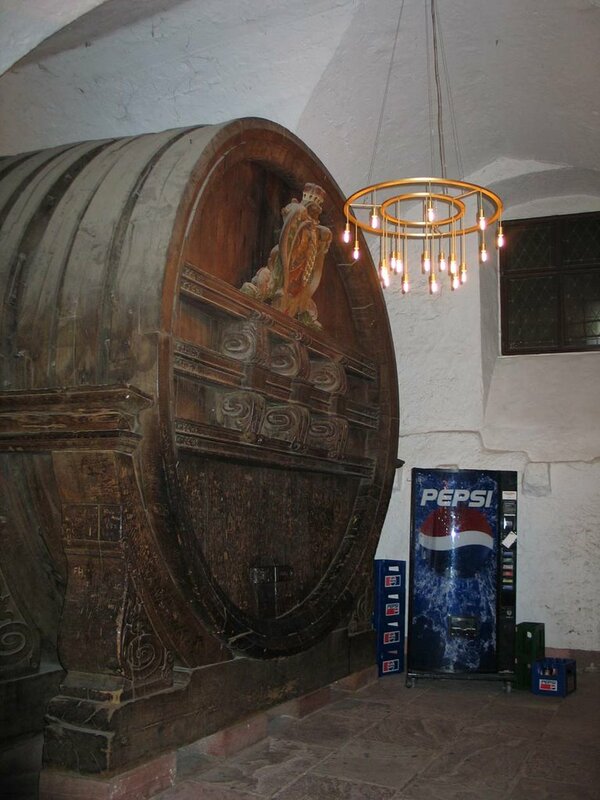 The Pepsi machine provides scale and options I suppose. After Heidelberg we came home and I was glad to get back.